Mount the Switch to your car or to your face with these readily-available Switch accessory design plans. The Nintendo Switch is big and only getting bigger, and players across the globe have fallen in love with its adaptable hybrid design and library packed with fantastic games. Be it on television, kicked back on a flat surface, or even in the palm of players' hands, the Switch offers gamers huge amounts of freedom to play their way. 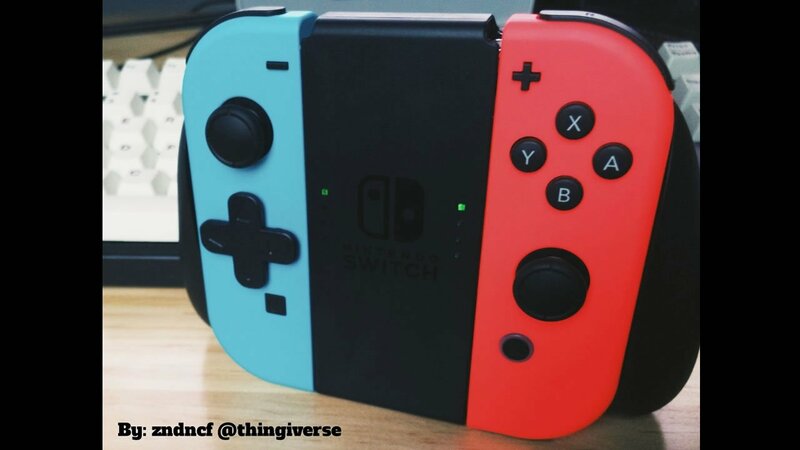 Robust as those options are, some players have looked beyond pre-manufactured accessories and dreamt up unique accessories that allow even greater options for Switch gameplay. Best of all, they've uploaded their designs in a few different places across the web, and those with 3D printers sitting around their homes can use them to craft some surprisingly-imaginative accessories. 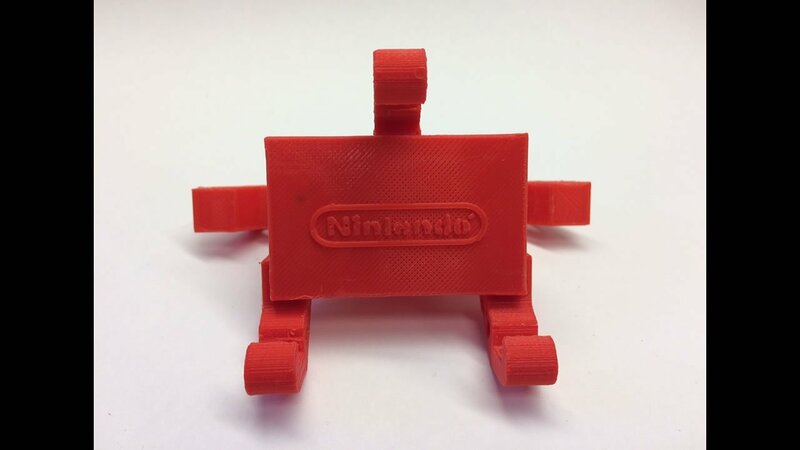 If you or someone you know has a 3D printer and a Nintendo Switch, check out our picks for some of the best and most interesting 3D-printed Nintendo Switch accessories available for free. Switch players who do a lot of their gaming in docked or tabletop mode are likely well familiar with the Joy-Con Grip, which provides some added ergonomics and old-school feel when compared to using two Joy-Con controllers separately. Unfortunately, there's no standard option for better ergonomics when playing the system with the Joy-Con controllers attached to the Switch. 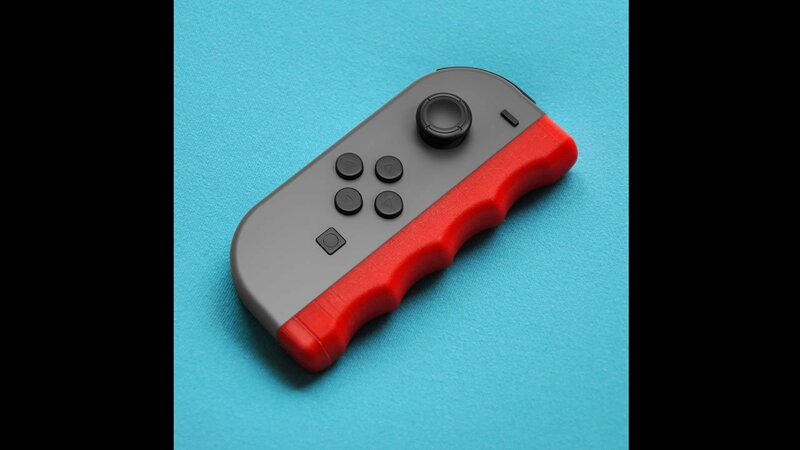 That's why user MottWorks3D found a workaround, and with his Attachable Grip designs, players can attach the Joy-Cons to the Switch system and still enjoy feeling like they've got a standard controller in their hands. Even better, the Attachable Grips also function when disconnected from the Switch itself. Players can find the plans over on MyMiniFactory. One of the biggest complaints players raise against the Switch is that the devices bottom-mounted USB C port doesn't allowed for the console to be charged when kicked back playing in tabletop mode. Naturally, there's an easy solution in the form of this simple accessory — it raises the Switch off tables and other surfaces just enough to allow room for its charging cable. Even better, the basic-but-thoughtful design allows the Switch to be kicked back at various angles. Players can find the plans, which were developed and uploaded by user Snuffypot11, over on MyMiniFactory. Some Nintendo fans were quite surprised to discover that the Switch Joy-Cons don't feature a standard directional pad. Nintendo is frankly famous for its peerless D-pads, so ditching the traditional cross shape and using round buttons ruffled a few players' feathers. No worries though, because user EmperorFaiz has a fix for this issue, and has provided designs for a stick-on D-Pad that comes in a selection of different old-school and new-school inspired styles. 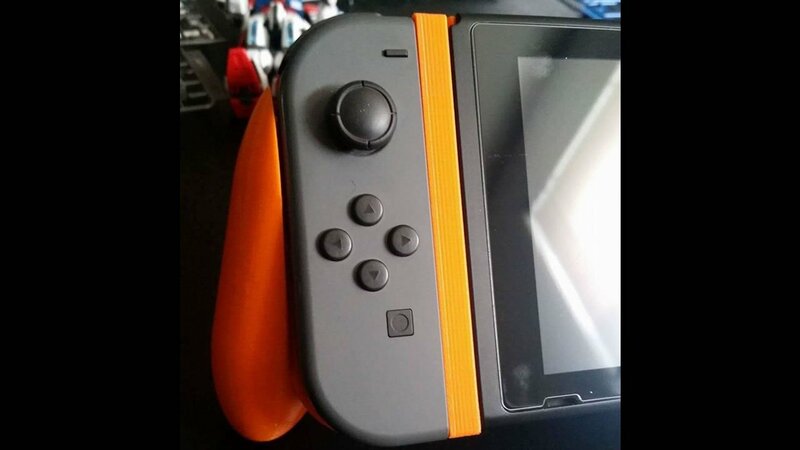 Switch owners can find the plans for the latest version, D-Pad Mod 1.6, over on Thingiverse. 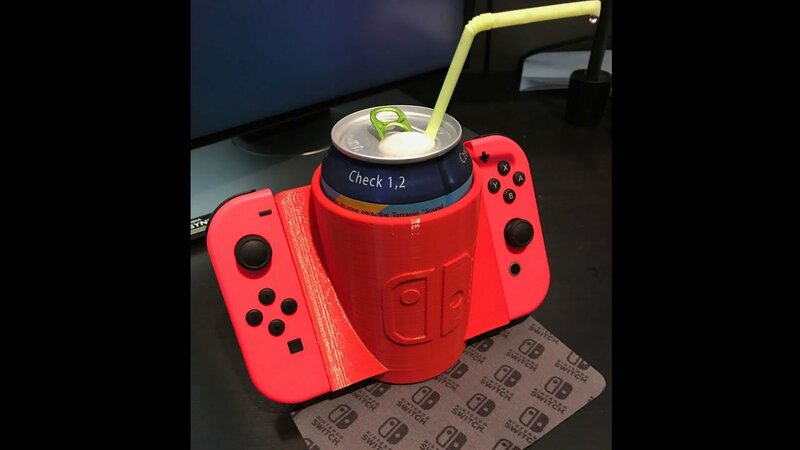 Look, it's a drink holder for a Nintendo Switch, what more explanation is needed? With user sanzliot's design, players can enjoy their Switch experience right alongside their favorite beverages, which could technically extend gaming sessions for those fueled by the likes of sugar and caffiene. 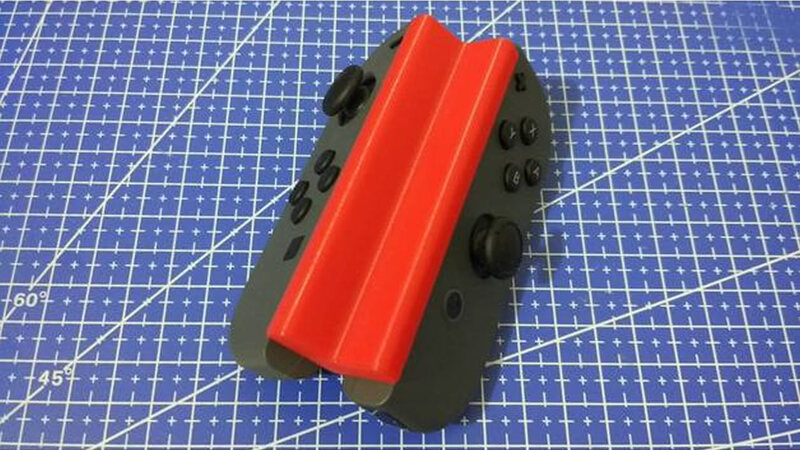 Now pausing for lubrication is a concern of the past, and players can find plans for the Joy-Con Drink Holder at this link at Thingiverse. It's not that Nintendo appeals mainly to children — children of all ages, more like — it's just that many Nintendo fans happen to be children. And since the Switch can go anywhere, many younger players find themselves enjoying their favorite Nintendo titles in the car. Enter the Nintendo Switch Car Seat Mount, which puts the action front-and-center for little backseat gamers. Uploaded by user camachoisboss, players can find the free plans for the headrest mount over at MyMiniFactory. In order to alleviate concerns of slinging controllers across the room, Nintendo started offering wrist straps with Wiimotes. However, the Switch has tiny little Joy-Con controllers that pose a similar risk for losing grip. Fortunately, a solution for the issue is simple — just add a little bit of bulk and toss in some finger grooves for good measure. Such is the case with the Ergo Pro Handle, a simple to print and easy to use accesory that also helps keep hands more comfortable during extended bouts of gameplay. Designed by user HLS, these no-nonsense plans can be found over on MyMiniFactory. As is the case with many other accessories we've featured here, the Single Hand Joy-Con Adapter was ultimately crafted for convenience. Unlike others on this list, however, it was created with one-handed gamers and other disabled players in mind. This simple controller accessory puts each Joy-Con at a right angle to the other, allowing just one hand to access both Joy-Cons and all necessary buttons. 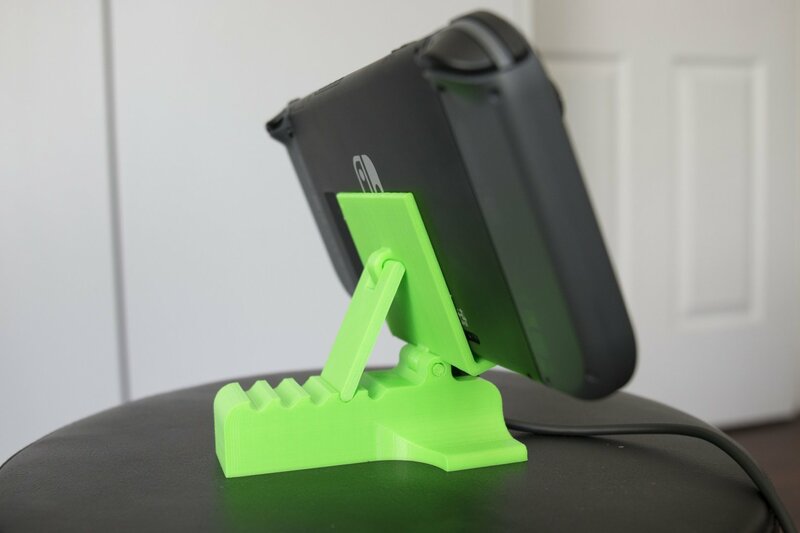 Designed Created specifically for a one-handed friend and uploaded by users Vexelius, players can find the designs for this cool accessory on Thingiverse.